Better than 60% of Knox Countians say they oppose the Common Core curriculum. The district with the most support for Common Core was the First. 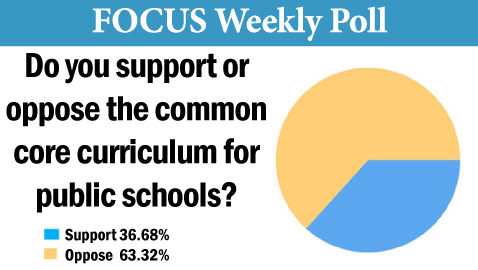 Just over 46% of likely voters in the First District say they support the Common Core curriculum. The district showing the second most support for the Common Core curriculum was the Fifth District, which is composed of the Town of Farragut and West Knox County. Slightly more than 45% of likely voters inside the Fifth District say they favor the Common Core curriculum. The district most strongly opposed to the Common Core curriculum was the Sixth, which is Hardin Valley, Karns and Northwest Knox County. Over 80% of likely voters say they oppose the Common Core curriculum. More men than women say they support the Common Core curriculum.